Because of churches in the Portland / Vancouver Area, Mission ConneXion Northwest is the premier Missions Mobilizing Conference in this area. Thousands of people attend annually from around the country, and this area has seen a radical awakening to God’s call to fulfill the Great Commission. 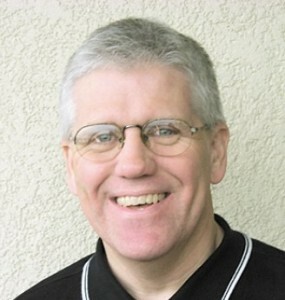 By way of history, some years ago I visited Missions Fest, Vancouver, B.C. which has been the largest missions conference of its kind in North America for over twenty years. Although I wasn’t planning on it, I sensed the Lord asking me if something like it ought to be attempted in Portland. I began to talk with other pastors and leaders around the city, and slowly began to build a consensus. I talked with Kevin Palau and he felt Luis would be positive about it. As things developed, we set a date for a luncheon that Luis Palau was willing to host in November 2001 and began getting the word out. Then September 11th took place, and we wondered if we were going in the wrong direction at the wrong time. Who would be interested in missions when it seemed like the future of our country was at stake? But we continued the way we had started – on our knees. 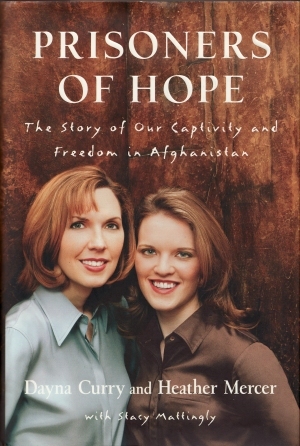 The morning of the luncheon, Nov. 15, 2001, was when the news broke that two missionaries – Heather Mercer and Dayna Curry – had been released from their captors in Afghanistan. When Luis got up to speak at the Double Tree Lloyd’s Center that day, there were over 300 pastors and Christian leaders who had traveled from Seattle, the Coast, N California, and eastern Oregon to join us. Luis seized the moment and challenged us with the vision for Missions Fest Northwest by saying that these two women just released should be part of the upcoming January event. Although we could not get them, that hit a chord and people resonated with the idea so that later in the spring, Missions Fest Northwest was able to host both of them for a packed house at Mt. Scott Church of God. When Missions Fest Northwest opened at New Hope Church at 4:30pm on Jan 18, 2002, just two months later, enough people were on hand that the scheduled workshops were at capacity. We were absolutely amazed that by the time we closed Saturday night, over 7000 had come to the event; we had received good press from KPDQ, the Oregonian, and Christian News Northwest; and those who participated said it was one of the best events of its kind they had attended! A great encouragement for us was to have the chairman and members of the board of the originating Vancouver, B.C. event come to tell us they were thrilled with the turnout and pledged their support! While we operated as MissionsFest Northwest for several years, we have changed the name to Mission ConneXion to focus on our connection with Christ without regard to borders or regions. Mission ConneXion is an Oregon nonprofit corporation.